We are Houston’s drywall repair experts. We conduct drywall repairs of all types on a daily basis in the greater Houston area for both commercial and residential clients. No job is too small, or too big for us. Our crews have years of experience and the expertise needed to produce the professional sheetrock repair you are envisioning. We are confidant in our work which is why we guarantee it. Our drywall repairs are guaranteed against defects in our materials and craftsmanship. In our work we have seen all kinds of drywall patch jobs. Many are poorly done, some are good, few are excellent. We know this industry well, we know what the industry excepted norms are, and yet we strive to do better. A key area that sets us apart is the quality of our work. We are committed to excellence in our work and intentionally set high standards for every drywall repair job we do. Our work is complete only when you are satisfied with the final product. Communication is another area that sets us apart from many of our competitors. Many of the poor ratings contractors receive in this industry can be traced back to a lack of communication on the contractors part. We place a lot of emphasis on establishing good communications with each and every customer. 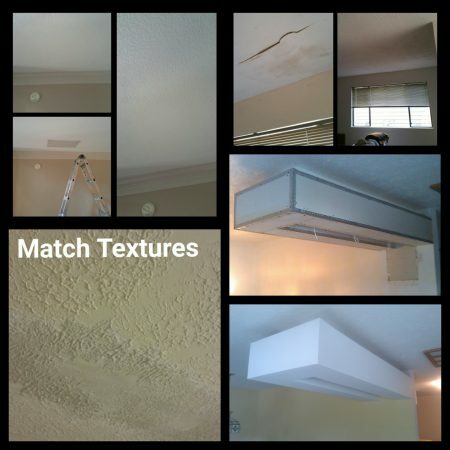 Ceiling repairs and wall repairs can many times come with additional work, we can help you save money and the hassle of having to bring in other contractors to address these additional tasks related to sheetrock damage such as wood replacement, mold removal, baseboard replacement, insulation replacement, priming, painting, wallpaper removal etc. 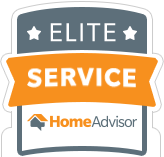 Read what others have to say about our service. We have reviews of our work, on our site, as well as on other independent review sites. We encourage you to investigate. Contact us today by taking a minute to fill out the simple form below where you can tell us about your drywall repair project. We offer free estimates, and will respond back to your request. You can also call us, or text us at the number below to request a free estimate. We look forward to working with you!